Buckley, the 8 week old pup who suffered unimaginable torture by having his ears and tail hacked off, has captured the attention of animal lovers across Australia. Currently receiving treatment and care at The Lost Dogs’ Home, Buckley’s story has resulted in an unprecedented number of phone and email enquiries and generous offers of assistance from the community. Staff at the Home are touched by the outpouring of support. When the gates opened at 10.00am this morning, Pamela Martin was one of the first people in. With her she brought a hand- made padded blanket, which she sat up all night making for Buckley. Pamela adopted her beloved dog ‘Archie’ from the Home and wanted to do something to help this horrifically treated young puppy. Channel Seven were here at the time and filmed the moment the blanket was handed over to Buckley. 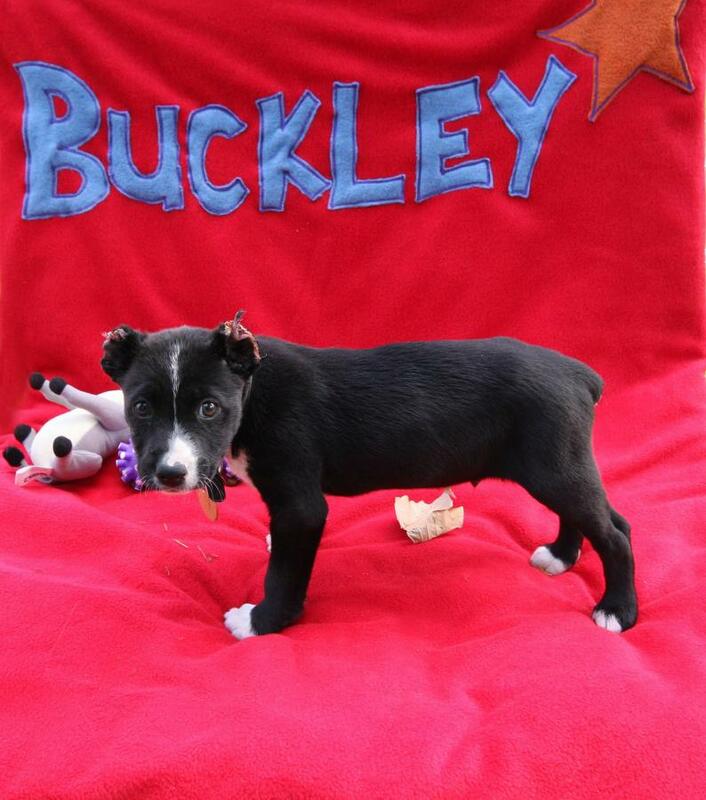 Considering his young age, and the ordeal he has survived – not to mention the media attention – Buckley is faring well. The flurry of filming for evening news slots on Wednesday, meant little Buckley slept very well that night! This morning he was re-energised and our staff were thrilled to witness typical puppy antics from him as he chewed his bed and played with toys. Everyone at the Home would like to sincerely thank all the people who have shown their support of Buckley, and the many other dogs and cats in our care, at this time. It means a great deal to us knowing that we are not alone in our shock and outrage at this cruel attack.